Charleston’s food scene has deep roots in southern tradition. Our favorite foods have delicious, often complicated histories. Recipes are passed down from generation to generation, every bite telling a story. If you’re a South Carolina native or just visiting for the weekend, you’ll likely see many (or all!) of these foods on restaurant menus, being served on street corners, or at community events. Vegetarians and health enthusiasts beware—this cuisine means business. 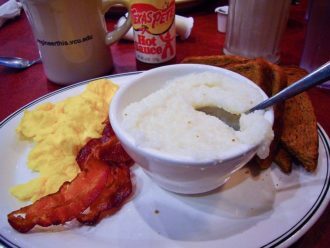 Grits—The perfect side, meal, or starter, grits are beloved by South Carolinians and southerners of every state. It can be eaten at any meal with anything and at any time. It is made from corn that is ground into a coarse meal and boiled. 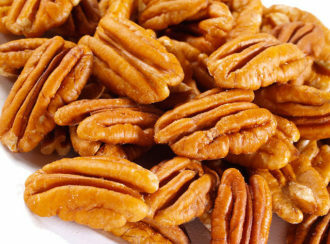 Pecans—From raw nuts to pecan-crusted catfish to pesto and pecan pie, we’ve put this wonderful little nut into nearly everything we can manage. Nearly every Charleston ice cream stand has a pecan flavor, but if you’re really adventurous, venture out to the Young Plantation—the undisputed pecan king of the south. 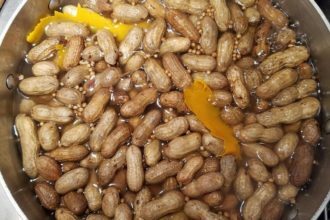 Boiled Peanuts—These aren’t your average salted peanuts. Boiled in heavily salted water for hours (with additional flavorings), these nuts become soft, salty, and smooth. Gumbo—It’s as fun to say as it is to eat. 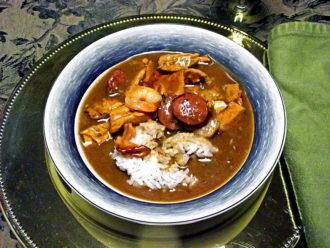 Gumbo is a popular stew (it’s Louisiana’s official state cuisine) made of stock, meat, shellfish, a thickener, celery, bell peppers, and onions. Popular thickeners include okra and roux. 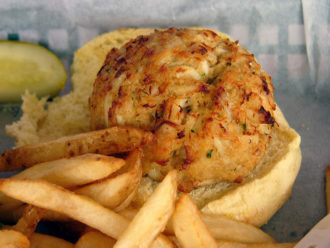 Crab Cake—Crab cakes are popular in nearly every American state, but South Carolina crab cakes are truly something to write home about. In fact, we love everything crab-related—cakes, legs, and She-Crab stews. Frogmore Stew—Don’t worry—this one doesn’t have actual frogs. 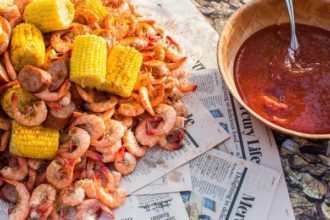 Also known as a Beaufort Stew or Lowcountry Boil, Frogmore Stew is boiled and seasoned shrimp, corn on the cob, sausage, red potatoes, and ham. Eat this at social functions and never forget the cocktail sauce. 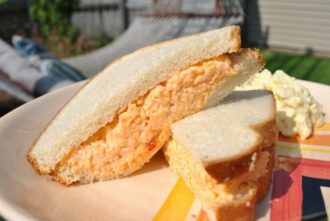 Pimento Cheese—Known affectionately as the “caviar of the South,” this creamy, cheesy condiment is best served between two slices of bread. To make your own, combine cheddar cheese, cream cheese, mayonnaise, garlic powder, cayenne pepper, onion powder, jalapeno, and pimento in a bowl. BBQ—The Carolinas do Barbecue a bit differently. Ours is usually pork, serve pulled, shredded, or chopped, rubbed with a spice mixture before smoking and mopped with a spice and vinegar liquid. 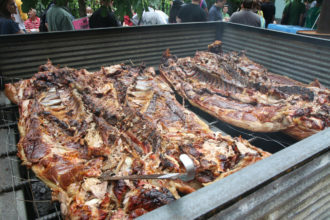 This is likely the oldest form of American barbecue. 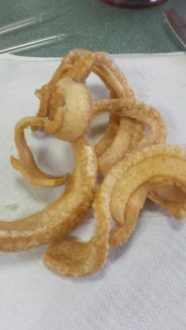 Fatback—Don’t knock it ’till you try it. This is, essentially, a pork rind. The “hard fat” can be served with charcuterie, in biscuits, or between layers of friend potatoes. 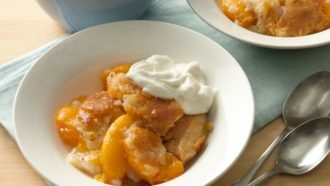 Peach Cobbler—South Carolina is America’s second-largest peach producer; it should come as no surprise that we do some pretty amazing things with this wonderful fruit. Perfect for hot afternoons or chilly mornings, peach cobbler is a Charleston staple. 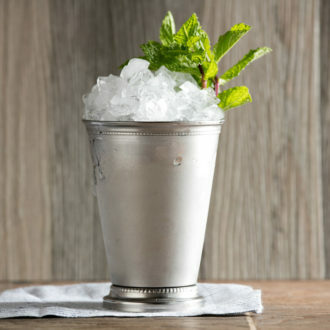 Mint Julep—Though not technically a food, we couldn’t resist including the south’s most popular cocktail. Made of bourbon, sugar, and mint, this delicious creation should be served in a highball glass on the warmest summer day.